This is the 840*2 780*2 Universal Fender Flares If you are looking for other 3 doors, check the following: Click: 840 * 4 Click: 890 * 2 820 * 2 Click: 890 * 4 Description 100% brand new Universal Fitment (Please make sure to measure vehicle's fenders before purchasing) Material: Polyurethane (PU) Color: Black Front: approx.2 Pcs : 780 x 320mm Rear: approx. 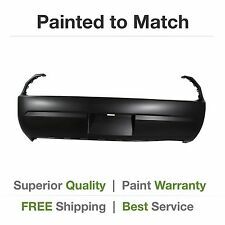 Fits 2008-2018 Dodge Challenger Duraflex Circuit Front Fenders - 4 Piece. Duraflex Circuit Front Fenders - 4 Piece. This revolutionary product allows you to receive a premium fiberglass product at an affordable price. 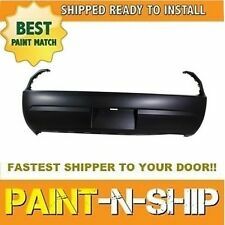 We provide a more convenient alternative to the traditional paint job. (Does not matter if your car is new or garage kept). We have the part numbers for this item listed in our item specifics of the ad for you to verify. ALL PARTS ARE USED AND WILL HAVE. - In the city of Lawndale CA. LOCAL PICK-UP. once your item has arrived at your local greyhound station. Fits 2008-2018 Dodge Challenger Duraflex Circuit Rear Fenders - 4 Piece. Duraflex Circuit Rear Fenders - 4 Piece. This revolutionary product allows you to receive a premium fiberglass product at an affordable price. Material: Polyurethane (PU). Color: Black. All products are quality checked. We will be happy to resolve any issues you may have in a cordial and friendly manner. Otherwise deal is final. -Novelty Auto Body Parts- 2010-2016 DODGE CHALLENGER FENDER RIGHT PASSENGER SIDE OEM -USED -PART# N/A (Show in Photos) -NO BROKEN TABS (Shown In Photos) -MINOR SCRATCHES (Shown In Photos) -2 DENTS(Shown In Photos) -NO BROKEN PARTS (Show In Photos) -Condition:GOOD(Shown in Picture) -Color: WHITE br> -Warranty The Fitment Information is not 100% Accurate, therefore, it's Buyer Responsibility to Match the Part Number and Confirm the Fitment Before Making a Purchase ANY QUESTION ASK TO OUR 24/7 CUSTOMER SERVICE! ** SE HABLA ESPAÑOL ** Terms of Sale We make it simple. Purchased a wrong item or no longer need it? Just send it back within 14 days and we will process a full refund. Received a damaged item or not working? Just let us know by sending us a message and we will take care of the issue ASAP. 90 DAY WARRANTY! ALL PARTS GUARANTEED! 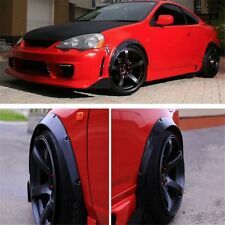 Description: 100% brand new Universal Fitment (Please make sure to measure vehicle's fenders before purchasing) Material: Polyurethane (PU) Color: Carbon Fiber Style Front: 27 x 12.5 x 3.5 Rear: 30 x 15 x 4.75 Installation Instructions Not Included Package includes 4pcs Universal style fender flares with hardware As the picture shown How to select and install. 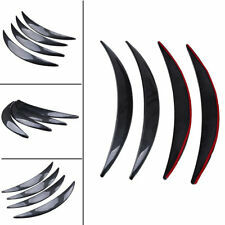 25"x5" Matte Black ABS Universal Rear Shark Fin Style Curved Addon Bumper Lip Diffuser 6 Fin Kit. 25"x5" Matte Black Universal Rear Shark Fin Added-on Bumper Lip Diffuser Kit. This pages features with Rear Bumper Shark Fin Style Aero Scratches Body Protector Lip. 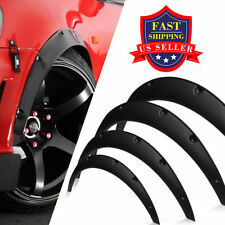 Description: 100% brand new Universal Fitment (Please make sure to measure vehicle's fenders before purchasing) Material: Polyurethane (PU) Color: Carbon Fiber Style Front: 27 x 12.5 x 3.5 Rear: 30 x 15 x 4.75 Installation Instructions Not Included Package includes 4pcs Universal style fender flares As the picture shown Placement on Vehicle Left, Right, Front, Rear Brand Unbranded Manufacturer Part Number Does Not Apply Front Size 27 x 12.5 x 3.5 Rear Size 30 x 15 x 4.75 Warranty 90 Day Material Polyurethane Color Carbon Fiber Style Fitment Type Universal Fitment Type Fender Flares Quantity 4PCS (2pcs front. Stylish eyebrow structure and color, give your car an outstanding look. 4 x Car Wheel Eyebrow. Color: Carbon fiber look (not real carbon fiber). Universal fit for most cars. Easy to install with double-sided adhesive tape. Width: 55mm (Compare to others small size about 20mm, our rubber fender flare is much widen, wide enough for SUV PICK UP 4X4 car!). 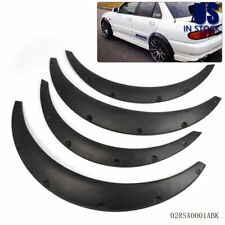 2 x 1.5m Car Wheel Tires Eyebrow Strip. Exterior wheel tyre protective and decorative accessories. Only what you see in the pictures is included. 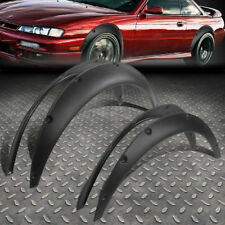 3.5"/90mm 4X Universal Flexible Car Fender Flares Extra Wide Body Wheel Arches. 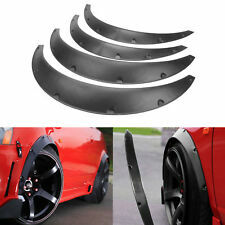 4 out of 5 stars - 4pcs Universal Flexible Car Body Wheel Fender Flares Extra Wide Arches 3.5"
35 product ratings35 product ratings - 4pcs Universal Flexible Car Body Wheel Fender Flares Extra Wide Arches 3.5"
Package includes 4pcs universial fender flares 24 sets of bolts As the picture shown Description 100% brand new Universal Fitment (Please make sure to measure vehicle's fenders before purchasing) Material: Polyurethane (PU) Color: Black Front: approx.2 Pcs : 780 x 320mm Rear: approx. 2 Pcs : 840 x 360mm How to select and install . Color : Carbon Effect. Material : Flexible and Durable Polypropylene (PP). We'll sort this out for you ASAP. It's highly appreciated if a picture of the broken parts could be provided in this case. There are NO EXCEPTIONS! 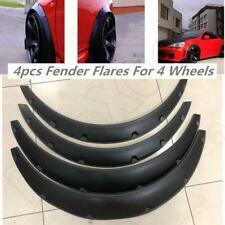 2 Pairs of ABS Fender Flare / Wheel Wall lip. Color: Black Carbon Fiber Effect. A necessity in many states where wide tires must be covered by a fender. Racing_Gear products require professional installation, we are not responsible for installation. Material : Flexible and Durable Polypropylene (PP). Color : Matte Black. Racing_Gear products require professional installation, we are not responsible for installation. Installation : Not Included. 2 x Front Fender Flares. 2 x Rear Fender Flares. Car LED Display 8 Parking Sensor Rear View Reverse Backup Front Radar System Kit. 8 Parking Sensors Car Reverse Backup Rear Buzzer Radar System Sound Alarm Black. 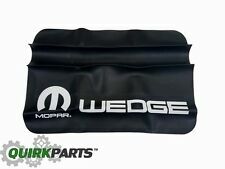 2008-2017 Dodge Challenger Super Bee Fender OEM With Decals. Used Fender. Look At Pictures Carefully. Paint Is Lifted From Dents. Has Dents On Front Edge. (Color: Polyurethane Black. 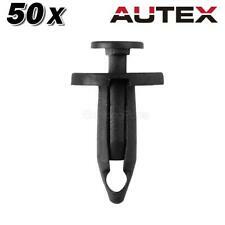 Material: Polyurethane (PU). a)Compatible List can not show up all Car model. For example In rare case, it can take up to 5-8 weeks. Installation Instructions Not Included. Stylish eyebrow structure and color, give your car an outstanding look. 4 x Car Wheel Eyebrow. Color: Carbon fiber look (not real carbon fiber). Keep your car away from muds, maintain your car clean.